Reader Brian requested more gifts for guys. Sometimes I think, talk and drink like a guy, but sometimes things that I think guys would like…they wouldn’t. Anyways, I’m going to try to incorporate some more guy gifts. Back in my single days, when I was scoping out a guy, I’d start by checking out his shoes and teeth. Ironically, I married someone who’s shoes I hated at first glance (and still somewhat do! Love ya, B!). If I was going to pick out some shoes for my man, I’d go to J. Crew. I love their boots, but also the vintage sneaker collection. 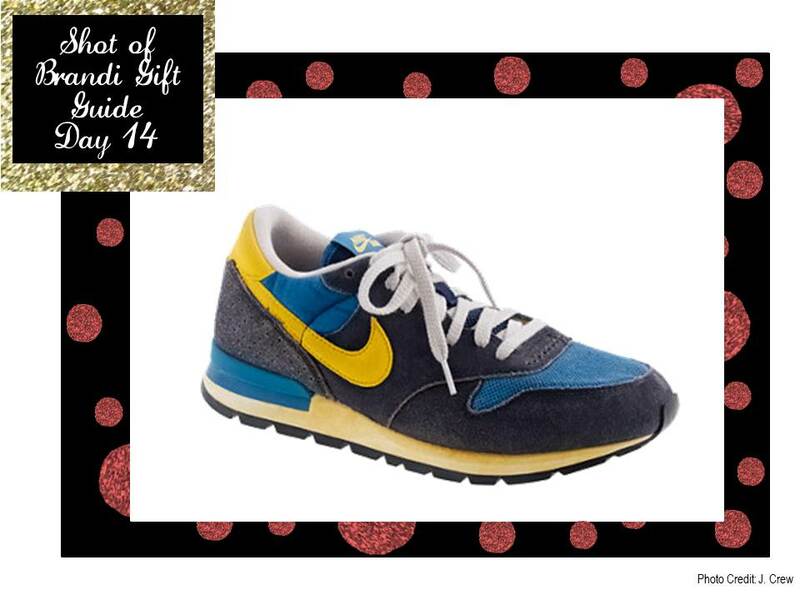 My current pick is these vintage Nikes!